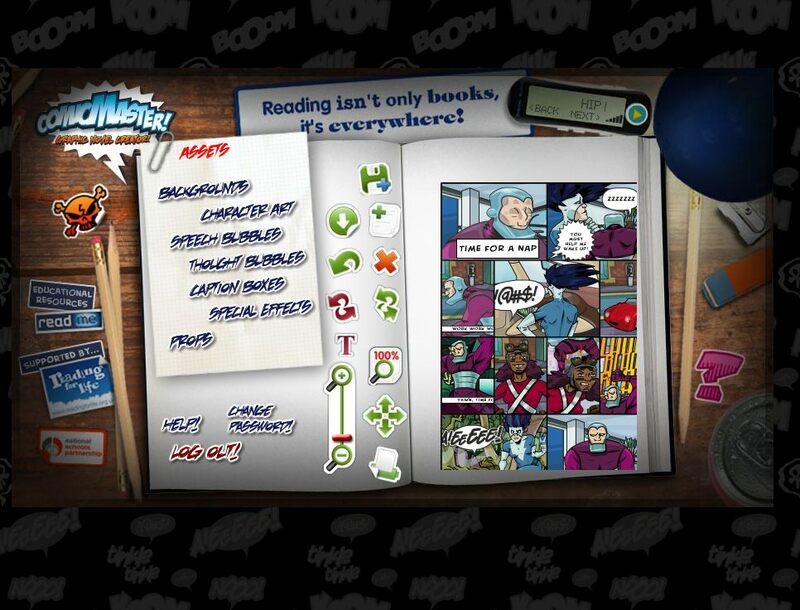 Here's a new (to me) online editor for creating comics, or what the site calls a graphic novel. It's the Comic Master Graphic Novel Creator. 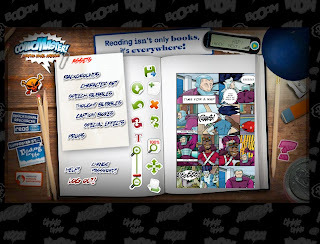 It has superhero-like characters which boys in particular might like. Once you've decided on your format, you pick backgrounds, characters and props, then add dialogue, captions, and special effects. You also get to save and print your novel, if you are registered/logged in. The format can be customized by dragging and dropping frames into the rows on the right. So you can have two panels followed by three and then four if you want. The editor worked very quickly and slickly for me, allowing simple drag and drop. There are four characters, each with a range of poses. The special effects and captions are a nice addition too. This is another great online place that encourages kids to create with words. It's a little like The Hero Factory, which I wrote about in My Hero, but encourages story more. If you're interested in encouraging children to write, you might like my articles: What's the Deal with Online Publishing? Sharing Stories Using Online Editors and Fast and Fun Writing with Kids. This. Is. Awesome. Hadn't seen this online comic creator before either...new to me too! Thanks, I think I may have to post on this one as well! It's another tool to add to your formidable bag of tricks, Kelly! That's what holidays are for!